Rebecca Minkoff creates another impressive satchel. The Matinee measures 17" x 8", has dual side pockets, a front zip pocket, and cool reversible pullback accents covering discreet zipper pockets. 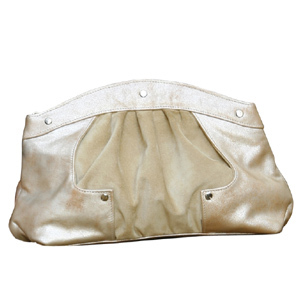 The No Strings Clutch is the perfect party clutch – shiny leather and luxe suede blend together in a uniquely shaped clutch, with a cute cutout and studs sprinkled throughout. 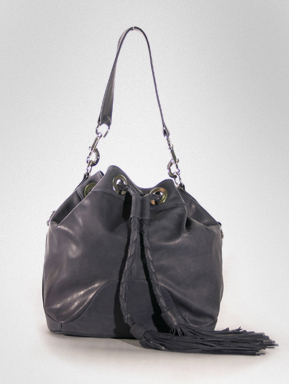 The Tess Hobo is a luxurious leather drawstring bucket, accented with a lengthy shoulder strap and oversized braided and tasseled pulls. 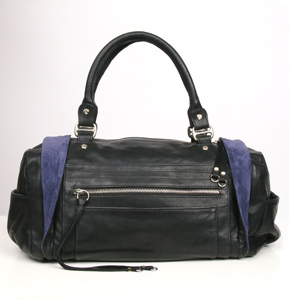 The DreamBag is a bag lovers dream; a roomy single-handle satchel has a front flap pocket and pouched sides to store extra stuff. 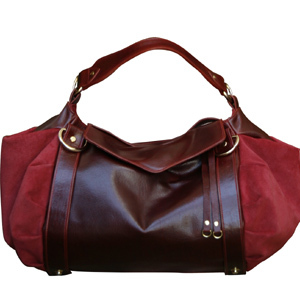 The rich cognac leather and cranberry suede make it a great holiday purse.